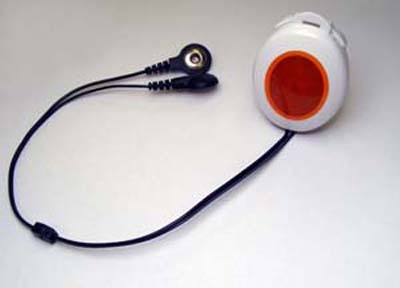 iTs Designs Ltd, the foremost supplier of assistive technology has launched a personal alarm badge with built-in antimicrobial protection.The P170B Personal Alarm Badge is a small alarm detector capable of calling for assistance and it will also place a panic call when held pressed for 5 seconds. According to David Godfrey, Managing Director of iTs Designs Ltd “The users of these alarms are often frail, infirm or vulnerableso we believed offering them with lasting antimicrobial protection gave us a clear competitive advantage”.The antimicrobial action of Biomaster is silver ion technology. Silver is a natural antimicrobial that has been used for centuries to prevent the growth of bacteria. Biomaster works to kill bacteria in three ways. Silver ions built into the surface of the product bind to and damage the bacteria cell wall preventing growth; they stop bacteria from producing energy and interrupt the DNA, preventing replication. If a bacteria cell cannot grow, produce energy or replicate, it dies. Biomaster is inorganic, and because it’s added at the time of manufacture, becomes an integral part of the alarm so it can’t leach out or be washed off. The alarm is housed in a small 45 x 60mm case and is powered by a lithium coin cell battery that typically lasts for 1 year, is compatible with both the P137 pager, which can monitor up to 32 such devices, and the P138 will monitor 3. It can also be used with the P117C telephone auto-dialler.If the Panic Button is pressed the alarm is immediately transmitted. If the button is pressed for 5 seconds then the alarm is elevated to urgent. The wearer gets both audible and visual feedback. Also, there’s an option for an alarm to be raised if the ambient temperature falls and remains below 12°C for 1 hour.The unit can also use Alert iT’sSafelink protocol in high dependency situations to ensure there is no loss of radio contact. In this case the pager can also be programmed to detect if the wearer has moved out of a safe area.